Mingtown Nanjing Road Youth Hostel is the fourth hostel of Mingtown, ideally located in the most central area of Shanghai. 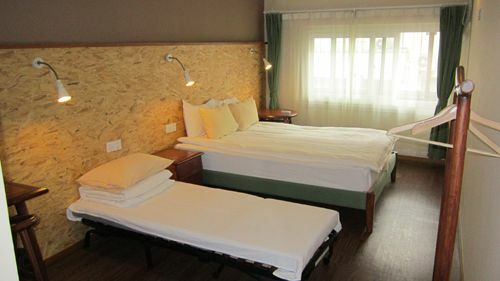 If you book any room or dorm our hostel, you can get a coupon CNY5 for our bar.All major attractions are within short walking distance from our doorstep.Such as, Nanjing Road , the Bund, People Square, Shanghai old town(Yu Garden) etc. The metro line 2 East nanjing station is just 2 minutes walking distance to our hostel. We offer clean and comfortable accommodation at affordable rates and the discounts to guests with HI cards.Our hostel has the the elevator.All rooms are equipped with security key card access, hot/cold air conditioning. Our dorm rooms are equipped with security lockers, individual lights, and power outlets. Safety deposit boxes are available at reception. 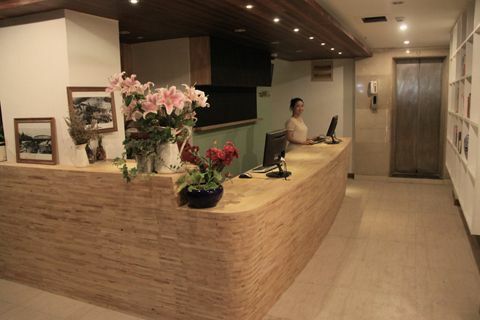 We also offer free short-term luggage storage.It's a wonderful hostel and welcome to our hostel! From Pudong Airport(PVG): 1.By Taxi:Taxi fee about CNY 180.It takes about 60mins. 2.By subway:Take subway line 2 to Guanglan road, change the other line 2 to Pudong Airport. 3.By Maglev:East Nanjing Road take Subway line 2 to Longyang Road, and then change for Maglev to Pudong Airport.If you have the flight ticket, it costs 40 Yuan for maglev; otherwise, it costs 50yuan. 4.By shuttle bus:Shuttle bus NO.2.You can take subway line 2 to Jing an Temple, get out exit 3,to take shuttle bus NO.2. From HongQiao Airport(SHA): 1.By Taxi:Taxi fee about CNY 70 2.By bus:Bus No.925 from HongQiao Airport to People’s Square,and take the Subway Line2 to the East Nanjing Road,then walk along with the East Nanjing Road or take a taxi about 15 Yuan. 3.By subway:Subway Line2 or Line10 to the East Nanjing Road,get out from exit 1, turn right to the South Shanxi Road,then turn left to the Tianjin Road.Shanghai Railway Station(SHANGHAI): 1.TAXI:about CNY 20Yuan 2.MTERO:Access: near to East South Exit or West South Exit at the South Square MetroLine1 to People’s Square station: CNY3/person and change the Line 2 to East Nanjing Road,get out from Exit 1,turn right to the South Shanxi Road,then turn left to the Tianjin Road.From Shanghai South Railway Station: 1.By taxi:about CNY 50 Yuan 2.By subway:Access: near to East South Exit or West South Exit at the South Square MetroLine1 from Shanghai Railway Station to People’s Square and change the Line 2 to East Nanjing Road,get out from Exit 1.